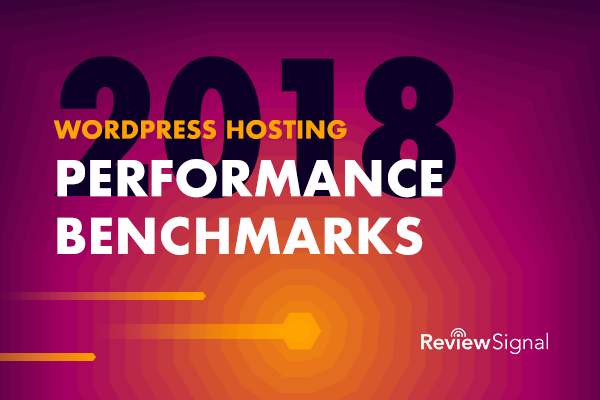 WordPress Hosting Performance Benchmarks is designed to create a consistent set of benchmarks showing which web hosting companies offer best in class performance. The focus of these tests is performance, not support, not features, not any other dimension. 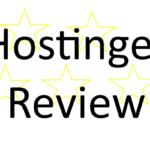 Review Signal's web hosting reviews has insights for some of the companies with regards to these other aspects. These benchmarks should be looked at in combination with other sources of information when making any hosting decision. That said, for the performance conscious, these benchmarks should be a good guide. Previous years testing can be found at the following links: original, 2014, 2015, and 2016. This was supposed to be 2017 but due to delays became 2018. 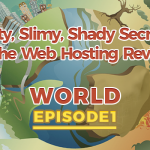 Companies that didn't participate this round but did on previous rounds: WebHostingBuzz, WPPronto, A Small Orange [Reviews], WebSynthesis [Reviews], Hosting Agency, Conetix, GoDaddy [Reviews], MediaTemple [Reviews], Pagely [Reviews], Pressidium, Pressjitsu, Traffic Planet Hosting, WP.land. 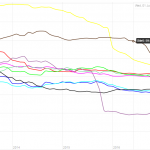 Why are some companies missing? If they aren't listed, they didn't opt in to participate. Chances are if it's a well known company they declined to participate, if it's a smaller one, they may not have known about this test and I may not have been aware of them to reach out. You can ask any company to participate and hopefully consumer interest pushes them towards it. Web hosting companies can signup for our Web Hosting Company Mailing List to keep track. Every plan was donated by the company for testing purposes with the strict stipulation that it would be the same as if any normal user signed up. There is a notes section at the bottom that details the minutiae of changes made to plans at the end of this post. Nearly every single company had security issues that I had to get around, so they worked to make sure my testing went through properly. Load testing often looks like an attack and it's the only way I can do these tests. Below you will see the price brackets and which companies participated. Specific details will be included on each bracket's write up. 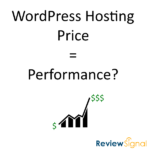 The goal of this research is testing the performance of specialized WordPress hosting. The two measures to determine performance are peak-performance and consistency. Peak performance is measured using load testing services which emulate large numbers of users visiting a website and watching how well the hosting responds under these stressful conditions. Consistency is measured using uptime monitoring to make sure that the servers remain available for a longer duration of time. There are some non-impacting measurements taken as well that are recorded to help inform more advanced users and potentially be used to create a benchmark at a later time. Geographic response times from multiple locations using WebPageTest have fit in this category. The WPPerformanceTester tests also fit this category. There may be an SSL Test added to this category as well. 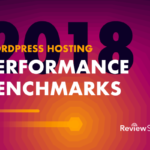 These measures don’t impact the Top-Tier WordPress Hosting status we give, nor the honorable mention status. Uptime monitoring lasts two months or longer. The hosting packages are as close to default as possible. In some circumstances where turning on performance enhancements is very simple, clicking an option to turn on caching for example, this will be done. Otherwise everything is as-is for new customers upon sign up to avoid as much as possible the extra benefit of companies knowing they are being tested. The exception to this rule is the Enterprise tier ($500/month+). This exception for the Enterprise tier is because at a certain level, a higher degree of service is expected. Customers spending large sums of money are generally on-boarded and optimized by hosting companies. As such, all companies competing in the Enterprise tier are allowed to optimize the package as much as possible to maximize the performance of the site. This methodology isn’t perfect. One of the most common complaints companies participating have is that it doesn’t encapsulate their service well because they do ‘something special’ for every client. This may be true, but it’s hard to allow this behavior because the difference between ‘every’ client and ‘this specific test’ isn’t measureable. It also relies on good faith from the companies because load testing servers requires permission to do at a meaningful scale. These type of tests often trigger security measures and can impact existing clients. Working with the companies being tested is often a necessity to do these tests properly. Packages are compared to what was submitted and checking for cheating is done regularly. The comparison is designed to be as apples-to-apples as possible. All tests were performed on an identical WordPress dummy website with the same plugins except in cases where hosts added extra plugins or code. The process for LoadStorm will be a scaling user test based on the pricing tier. The simulated users will hit the homepage, hit the login page, login, hit a few pages and posts. The scale of the load varies by price tier starting at 500 users and scaling to n,000 users. LoadImpact ran a simple Lua script that requested the frontpage of the test site. It scaled from 1 to n,000 users based on the price tier. It was designed to emulate the old Blitz.io test of simply hammering the cache. Tests will be run from 11 locations. Dulles, Denver, LA, London, Frankfurt, Rose Hill (Mauritius), Singapore, Mumbai, Japan, Sydney, Brazil. Last year had Shanghai and South Africa which were replaced by Mumbai and Mauritius because they are no longer available locations. Uptime will be monitored for at least two months for the homepage of the site. UptimeRobot and StatusCake were used to monitor uptime at 1 minute and 5 minute intervals respectively. This plugin will run its performance test. Plugin is available at WordPress.org. There are two levels of recognition awarded to companies that participate in the tests. There is no ‘best’ declared, it’s simply tiered, it’s hard to come up with an objective ranking system because of the complex nature of hosting. These tests also don’t take into account outside factors like reviews or support. It is simply testing performance as described in the methodology. This is awarded to companies who maintain 99.9% uptime throughout the entire testing and show little to no performance degradation during load testing. Honorable mentions are given to companies that came close to Top Tier status but for one reason or another fell just slightly short. This could be struggling slightly on a load test or having some minor uptime issues. Blitz.io was replaced with LoadImpact. Blitz.io shut down so it was no longer an option. Shanghai and South Africa replaced with Mumbai and Mauritius for WebPageTest. SSL Required for Enterprise tier (not for anything below). SSL will be required for all plans next year. Adding SSL Test (https://www.ssllabs.com/ssltest/) as non-impacting measurement for Enterprise tier. A major change this year was the need to charge for testing because of a lack of sponsorship. Hosting companies or companies connected to hosting companies were not welcome to sponsor because of the potential for conflict of interest. Every company pays the same amount based on the price tier of the product. There is a re-testing fee if the load tests require more than two attempts for whatever reason. Load testing is the primary cost involved with testing, and if a company fails twice for a legitimate reason (almost exclusively security related), then re-testing is allowed to accommodate dealing with security measures with the associated fee based on tier. All fees paid will be documented publicly for posterity. The table below lists all six price tiers, the testing fee associated with each tier and the re-testing fee associated with failed load tests. All plans are listed in their retail price range, no first-month/first-year/first-billing period/sale prices will be used in figuring out which tier a plan belongs in. Almost every company had to disable security measures of some sort. Kickassd, SiteGround had to turn on caching plugins (very simple). WordPress.com VIP needed a special version of WPPerformanceTester to work with HyperDB. LiquidWeb also needed a special version of WPPerformanceTester to work with sockets to MySql. This entry was posted on January 30, 2018 by Kevin Ohashi. Basically, what theme and what base plugins where used? My friend why is Pagely said no I can tell you they updated the base VPS sad to see that they are missing from this? I’m really happy to see Kinsta & Panthion just wining almost everything I wish Pagely Pressidium, WebSynthesis (is now just a plan on StudioPress sites) was in the tests but I think this is the best test that can be run. Looks like Liquid Web’s new Woo Commerce offering just missed the test. Great job again man this is the first pantheon Fastly + Google Cloud test run & wow! also the frist new (pay for php workers & Redis test) glad to see that they still fly with the changes. I agree with you about next year should all have SSL great report! I tried my best to convince them to participate, but they opted out this year. WebSynthesis hasn’t participated in years unfortunately. PS Flywheel has a $2,500 a month enterprise plan based on AWS containers. Would love to see that test. And congrats to Pedro founder of Presslabs great runs. They were actually originally participating but I believe they are moving off AWS to another provider and re-architecting their enterprise solution. And decided not to participate because of that. I like that you’re doing the updates on the hosting providers with more reviews. Sort of sad that we lost a provider of Web synthesis/StudioPress Sites was swallowed up by WP engine. Who knows it could be. for the better? The new Pagely northstack.com is supposed to be serverless hosting or not just WordPress but a whole bunch of different systems. What is cool though is you can actually scale your database vertically and horizontally should make her very interesting comparisons on big sites.